Here are some good news. 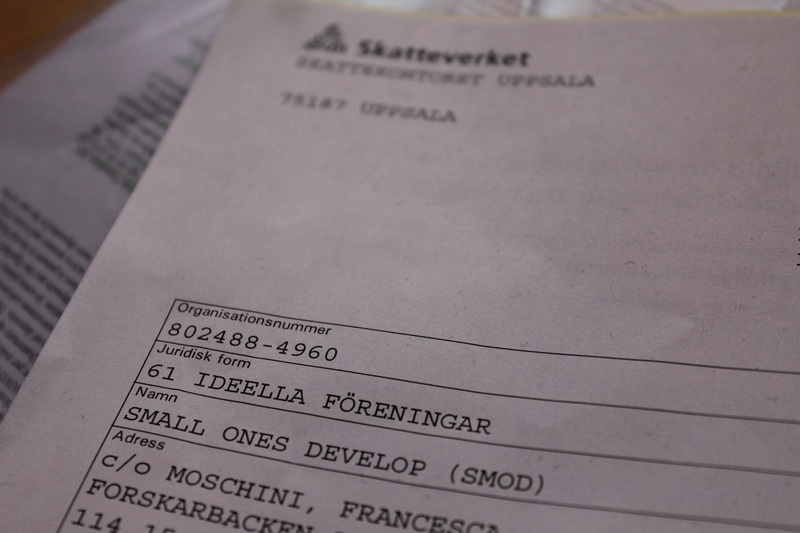 Small Ones Develop was granted an organisation number by the Swedish tax office. The number is 802488-4960. Thanks to this number we can among other things open a bank account, apply for funds, receive grants, and pay out salaries. It will take a while before we get there but we are on the right track! We had our first board meeting last Sunday. We discussed several practical details, who will help us with the logo, how we can work with the volunteer department in the near future, etc. Also we decided to have an information board about SmOD and Amaidi at Stockholm university on Thursday 15 May.